If your lawn has problems with pooling, your basement is damp, or the ground around your foundation is eroding, you have problems with yard water drainage. 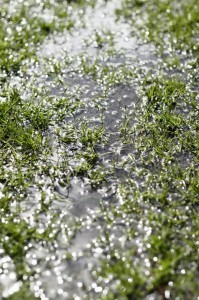 Fortunately, there are a myriad of methods for dealing with yard drainage issues. Natural lawn drainage systems involve the use of natural systems, such as ground grading and landscaping, to deal with drainage issues. If you’re getting water pooling at the foundation of your house, the first method you should use to fix the problem is to change the ground grading, or steepness, so that water flows away from your house. 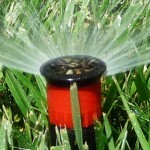 Changing the grading of your lawn to direct water to a particular location is called a “grassy swale”. Swales help spread out water over a large area, and can be used to direct water to the next type of natural drainage system, a boggy area. If a particular area of your yard is constantly flooded with water, you might consider turning it into a bog. It’s fairly simple to landscape a bog using plants adapted to soggy conditions. 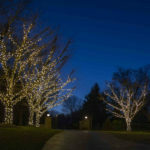 The ideal trees for this condition are willows, bald cypress, river birches and the eastern red cedar. Hydrangea and the red-barked dogwood are shrubs that do well in boggy conditions. And irises, hostas, daffodils, and ferns are all perennials that will thrive in a bog. Artificial drainage systems are those systems that constructed materials, like pipes or wells, to assists in yard drainage. In a dry well system an underground storage container is constructed, and downspouts and drains connected to it. The container is not completely sealed, so the water can naturally percolate back into the groundwater table. This is preferable to a French drain, which directs all water it collects to a single place, rather then dispersing it, which can result in run off collection in large bodies of water, and erosion. 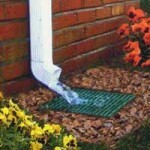 A French drain is an effective and well known system form yard drainage. To construct a French drain a ditch is dug and a pipe or corrugated plastic tube is set in it, wrapped in filtering fabric, and buried in gravel. French drains typically direct water away from your property and towards a storm drain system. However, as a more environmentally friendly solution, you could use a French drain in conjunction with a dry well, so that the water gets back into the groundwater table. 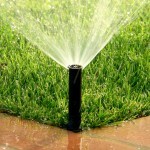 Want a Lawn Drainage System Installed? 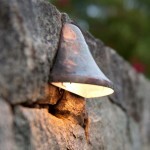 This entry was posted on Thursday, February 5th, 2015	at 2:41 pm	. You can follow any responses to this entry through the RSS 2.0	feed. Both comments and pings are currently closed.